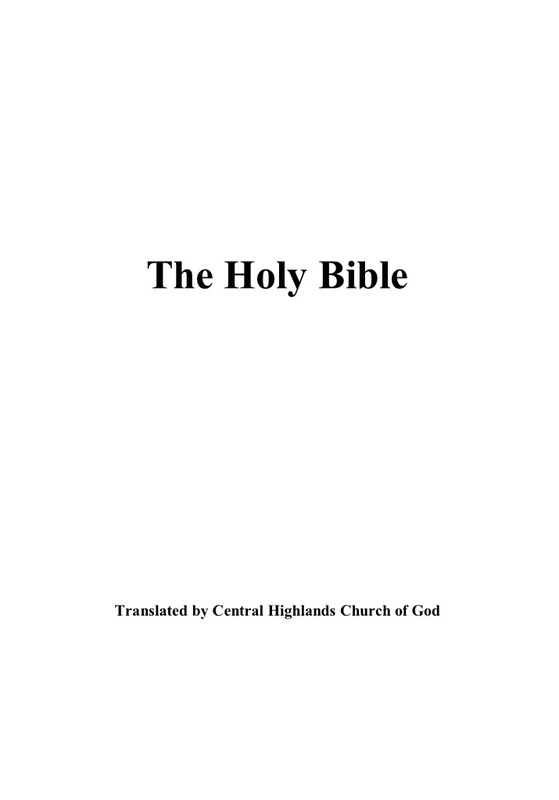 For sample verses from the Central Highlands Christian Publications translation, click here. Contents: Bible; the Old Testament is in the Hebrew order. The general epistles appear after Acts. The Pauline epistles and Revelation follow afterwards. Facsimile: A PDF is available from the Central Highlands Christian Publications website. 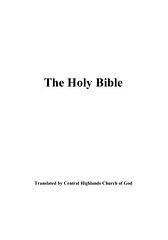 Comments: This version aims to correct "most of the common English Bible translations"; it is also "based on the literal New King James style of translation". Jehovah and Joshua is used for Lord and Jesus, respectively.